The long Yuletide season was indeed a great time for merrymaking, but then it can also be a terrible time for stress due to a heavy rotation of parties, intense decision-making on what gifts to buy and frantic scheduling for gatherings that followed. All these frenzied activities may take a toll on your appearance, especially your hair. Your mane may tend to misbehave at this point, just when you’re about to attend one party after another. Let SYOSS get your mane back in shape. Let SYOSS pamper you and make you look sensational after all the hard work. SYOSS offers professional hair care, styling and coloration that provide a wide range of benefits and solutions to help turn dreaded bad-hair days to experiencing great salon-beautiful hair every day. Isn’t that what every woman wants and desires? 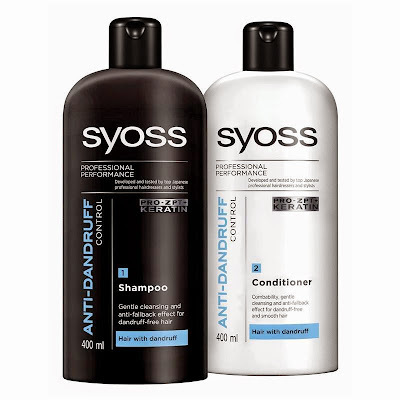 Through its wide range of high-performing products that address the most common hair dilemmas of women in more than 50 countries, SYOSS stays true to its brand philosophy of helping them achieve professional hair care at an affordable price. SYOSS contains a specially formulated hair-care technology called “Pro-Cellium Keratin,” which was developed by top Japanese hairdressers to provide treatment for damaged hair by penetrating hair strands and reconstructing them from the inside. SYOSS lets you look sensational, as its shampoos and conditioners come in three variants: Repair Therapy, Moisture Intensive Care and Anti-Dandruff Control. Repair Therapy is designed to repair heavily damaged, stressed, colored or permed hair. Moisture Intensive Care is formulated to moisturize dry, frizzy and brittle hair. Anti-Dandruff Control contains Zinc Pyrithione, which fights dandruff from the first application while providing smoothness to the hair. No hairstyle is perfect for the holidays without a styling product’s final touch! The SYOSS hair styling products make it easy to achieve professional-looking hairstyles without going to the salon. Curl Control whip and cream give defined, long-lasting curls, full of perfect bounce and smoothness while Strong Hold wax provides mega-strong hold to achieve individual looks easily. SYOSS also introduces a revolutionary new range, the Oleo Intense, which is an oil-infused salon-quality range for 100% intensive nourishment and color intensity. It comes in shampoos, conditioners and hair coloration products. The shampoo and conditioner, when used together, nurture your hair with precious oil that results to opulent shine and suppleness. On the other hand, the pure oil in Oleo Intense hair color intensifies the coloring action, delivering a higher amount of pigments, deeper into the hair cortex and maximizing the color efficiency. Henkel operates worldwide with leading brands and technologies in three business areas: Beauty Care, Laundry & Home Care, and Adhesive Technologies. Founded in 1876, Henkel holds globally leading market positions both in the consumer and industrial businesses with well-known brands such as Persil, Schwarzkopf and Loctite. Henkel employs about 47,000 people and reported sales of 15,605 million euros and adjusted operating profit of 2,029 million euros in fiscal 2011. Henkel’s preferred shares are listed in the German stock index DAX.